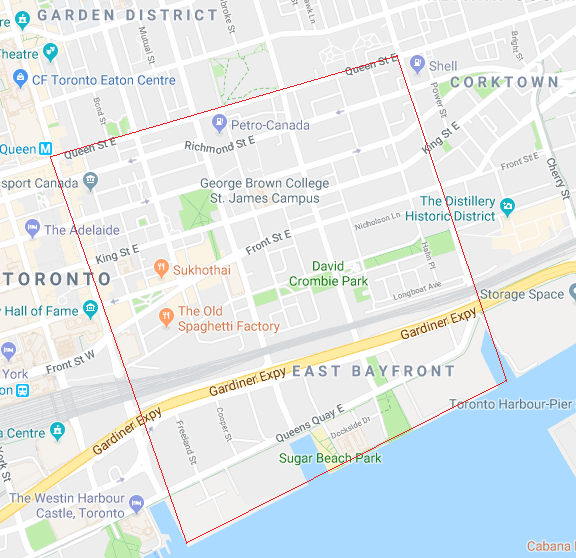 The southern part of the Harbourfront neighbourhood in Toronto was built-up in the early 1800s using landfill… it used to be that Front Street was along the edge of the shoreline. It became home to many different industrial buildings like factories, warehouses and shipping areas that were isolated from the rest of the city by the railway tracks cutting across below Front. Beginning in the early 1970s and continuing to today, the area underwent and is undergoing a citizen-led transformation the result of which is a lakeside playground that’s becoming an even more beautiful place to live. Harbourfront East includes all the new condo and commercial buildings being constructed along Queen’s Quay east of Yonge, the St Lawrence Market area, which is very popular, as well as newer buildings north up to Queen Street. Bordered by the Queen Street to the north, Yonge Street to the west and Parliament Street to the east (see map below), the neighbourhood is a successful mix of different types of land and includes low-rise condo buildings, high-rise condo towers, commercial areas and well-balanced industrial areas that either remain as a part of the community or have been converted to other uses. Showing 58 properties out of 77 currently available on the market. Harbourfront East is home to the Sony Centre For The Performing Arts, with numerous great performances throughout the year. St Lawrence Hall is an event space in an ornate building. The St Lawrence Market is a treasure trove of artisans and great food experiences, and the antique market is held across Front St on the north side on Saturdays. There are fabulous places to go for food and entertainment... Sukhotai and C'est What being just two that come to mind. 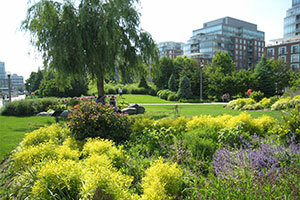 Berczy and David Crombie Parks are some nice green spaces to enjoy in the midst of all this area has to offer. Trails, paths and waterfront parks make the Harbourfront neighbourhood, both east and west, easily navigable on foot, with plenty to see and do. 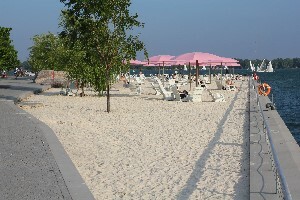 The bicycle and walking pathways connect the eastern part of the city with the west end via the Martin Goodman Trail. 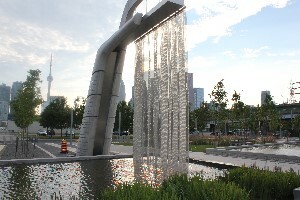 Points of interest include the Redpath Sugar Museum, art galleries, the Spadina Quay wetlands, the Fort York National Historic Site and Exhibition Place. Markets, bars and restaurant with patios, grocery stores and other shopping destinations round off the Harbourfront as one of Toronto’s most sought-after neighbourhoods to live and play in. Now there’s a TTC bus service along Queen’s Quay East taking you to Union Station and a connection with the subway and streetcar service west from that point.